Thai Curry is all about the aromatic curry paste. It is the beginning of something that is invariably magical. It is an intense, thick, moist, blend of flavourful ingredients. All curry paste is made with the same or similar base ingredients - hot chilies, lemon grass, ginger, garlic, shallot, shrimp paste, herbs and spices like cumin and coriander seeds. 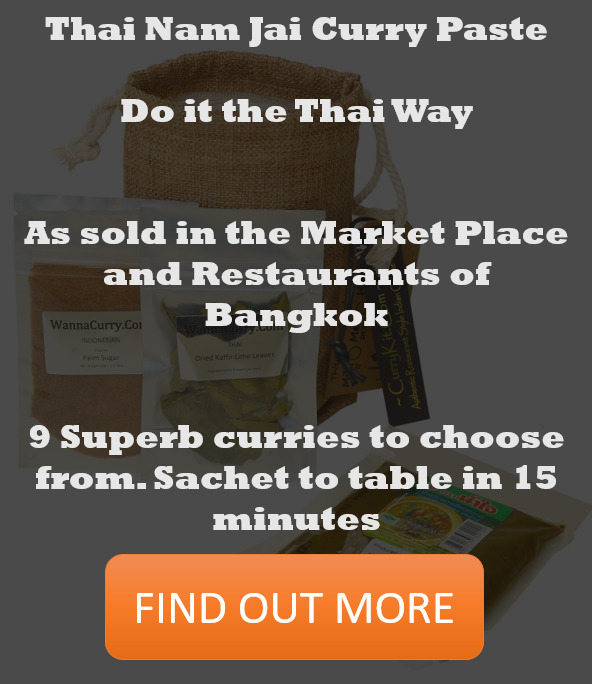 Having tried a variety of commercially available Thai curry pastes we have chosen Nam Jai which is a family owned company who have been involved in food production since the turn of the last century. Sourcing fresh produce from families of growers in northern Thailand with whom they have been dealing with for generations, they regularly supply the street markets and restaurants of Bangkok and the surrounding area. They call this policy natural selection. Blue Dragon's easy 3 step Thai Massaman curry, just add meat and/or veg. Blue Dragon's easy 3 step Thai Green curry, just add meat and/or veg. Blue Dragon's easy 3 step Thai Red curry, just add meat and/or veg. Made in Singapore, you can guarantee these curries will be authentic. Our newest CurryKit with exciting new spices for us. We had originally planned to change up our ingredients to ensure that there was no trace of gluten in our spices at all but, it has been a huge hit. This new CurryKit is currently beating out all of our other Kits! I think we'll hold onto her as-is. A bolder stronger curry and our long standing best seller. Try thin sliced chicken, red pepper, snap peas and fresh basil. A popular thai curry, a Jungle curry is one made with no coconut milk. This easy recipe recommends the use of pork. In Thailand you'll find a number of different variations of sour curry. This curry is characteristic of it's sour taste, made with the use of tamarind (makham). This paste is inspired by the southern part of the country, although is eaten in the central region aplenty. Nam Ya curry paste and fish curry paste are all made at the same time. With the modern life style and more thai people living abroad, Nam Ya curry was born. All the ingredients are boiled first, fished out of the pot and then pounded into a paste. Like fish, like paste, like Nam Ya. Boiled eggs are a recommended side to this dish. 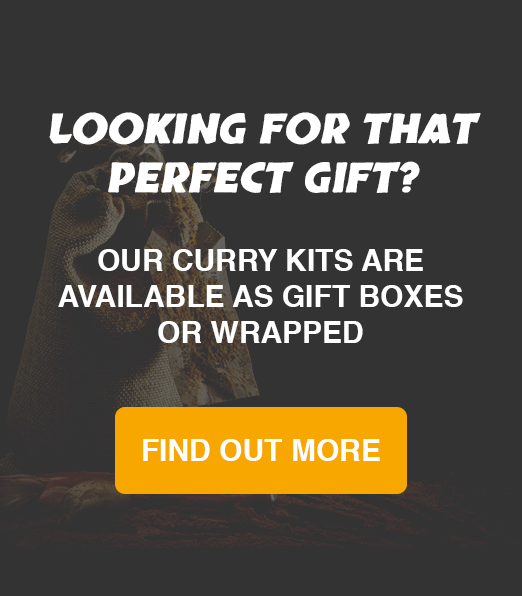 Our aim at currykits.com is to offer you curry kits that provide the ground spices you need to accompany the basic ingredients needed to produce that authentic, restaurant style curry.